For the first time, SEERS will be exhibiting at FIME (Florida International Medical Expo) in June 2019! SEERS are looking for active distribution partners in Central & South America to represent the brand and our market-leading product range. Meet us at Stand B59! FootHealth 2019 takes place on 18th-19th June 2019, at the Kettering Conference Centre. SEERS will be exhibiting at the show for the first time in 2019, and will be showcasing our new CLINNOVA Podiatry Couch! Visit us at Stand 42! 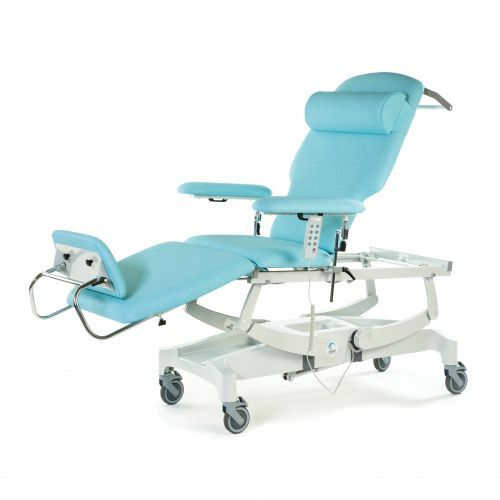 To celebrate 10 Years of SEERS, in 2019 we will be launching a market-leading range of examination couches & treatment tables. Available to order now on Therapy, Medicare and Standard Innovation 2 & 3 Section Couches. We'd like to thank all of our customers and our distributors across the globe - now in over 80 countries worldwide! 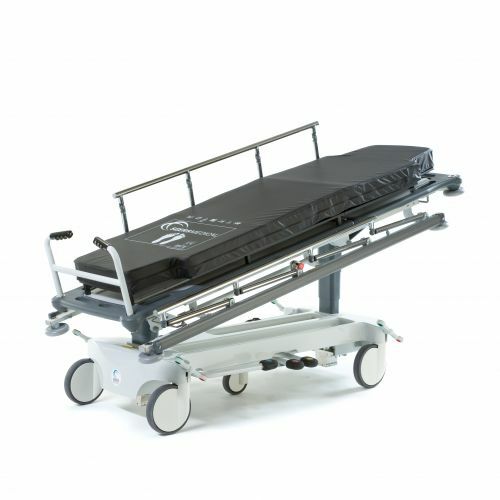 SEERS 2 & 3 Section Couches, Shower Trolleys and Hygiene Tables are available from stock for delivery to UK Mainland. 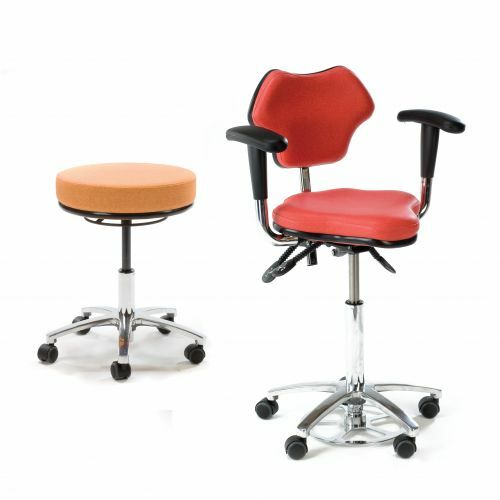 4 ranges of patient treatment and examination couches from economy Sterling Range to the Innovation Range! Several Patient Trolley models available to choose from, including Atlanta Transport, Atlanta A&E and Orlando. Seating products consist of basic everyday models to specialist seating solutions for Surgeons & Sonographers. View our range of spare parts now. The UK's Leading Manufacturer of Examination Couches & Treatment Tables, Patient Transport Trolleys, Care Beds & Ergonomic Seating. We provide a wide choice of medical couches and accessories to cater for various examination procedures as well as different manual therapy and rehabilitation techniques. For further information on our range of couches and accessories please call +44 (0) 1728 861 590 or email info@seersmedical.com. I invested in the 3 section hydraulic couch for my Sports Injury clinic. Very comfortable from feedback off my clients. I would highly recommend adding this to your clinic as you won’t be disappointed. You have provided a great service for us. The two men that delivered the couch were very professional and helpful. The couch is excellent, I love the foot bar that you push to adjust the height of the couch! The bed is also nice and wide, which is very comfortable for the client. I wish to thank you and the whole SEERS team for the sublime cooperation! The Bobath tables we needed so quickly arrived today already - so we can plan the delivery for the opening of a new hospital for tomorrow. The medical couch I ordered has arrived in record time. I have already recommended SEERS to the rest of the company as Ella’s customer service was brilliant, couldn’t thank her enough. Great Service, Very Polite Staff. Would recommend using this company. We used SEERS Medical recently and the service was outstanding! When we contacted SEERS, we got an immediate and helpful response. Thanks to SEERS, we avoided days of disruption to our patients and practitioners. We'll definitely be using them again the future. From the time I contacted SEERS to the time I took delivery of my couch I have had exemplary services. The quality of the couch is superb and I would have no hesitation recommending SEERS. Very professional and customised service to meet our specialist healthcare needs. They completed the job in record time & communication was excellent. I will definitely be using SEERS again! Very helpful & Very informative. A good company to do business with, high quality & durable equipment. Always very helpful & go out of your way to help. Excellent Supplier. A very professional supplier with excellent communication routes for sales & delivery information. We've selected English in Japan for your default language and country.